Enabling this option will create Animated GIFs for multishot layouts. The animated gif will be created from each shot in the session with a short delay. The user can select between the still photo layout or the animated GIFS to be shared to social media. The still photo layout will be printed. Converts the GIF to an .mp4 on a loop for posting to Instagram. This is a transparent PNG that is overlayed on top of each Animated GIF. For Landscape photos, the overlay should be 600x400px. For Portrait photos, the overlay should be 400x600px. The sample GIF overlay is located in C:\Program Files (x86)\Photo Booth Solutions\Social Booth\Assets\Templates. Enter the 100th of seconds for the delay between photos. 50 = 50/100 or ½ second between photos. Crops the photos to a 4”x4” photo to give the Instagram style look to the Animated GIF. 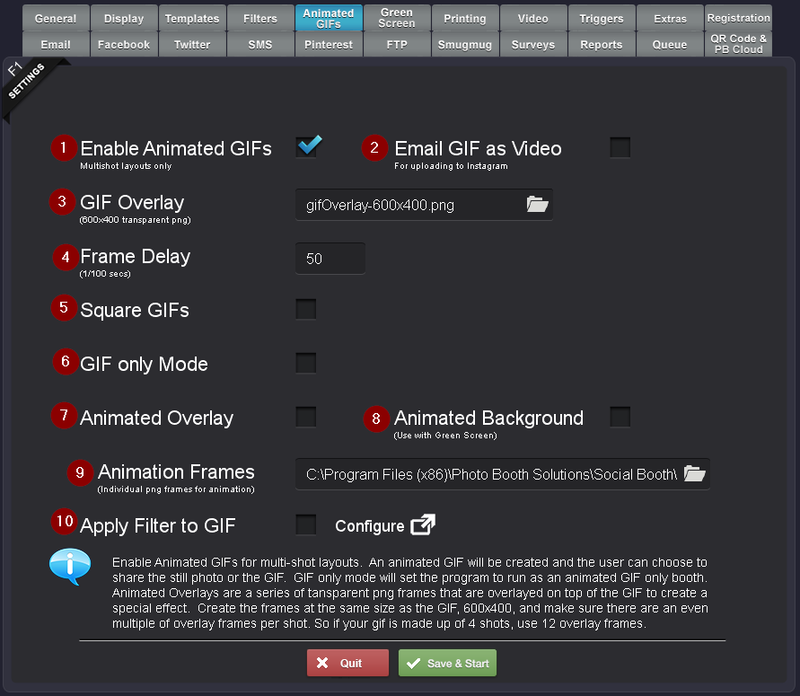 GIF only mode will turn Social Booth into an Animated GIF booth, bypassing the "Select Still Image or Animated GIF" screen. Use a series of transparent PNG frames that are overlaid on top of the GIF to create a special effect. Create the frames at 600x400 pixels and make sure there are an even multiple of overlays per shots. So for 4 photos, 12 frames. Use a series of transparent PNG frames that are placed behind the GIF to create a special effect. Create the frames at 600x400 pixels and make sure there are an even multiple of overlays per shots. So for 4 photos, 12 frames. Direct the program to the folder that contains the PNGs to overlay or use for the animated background. 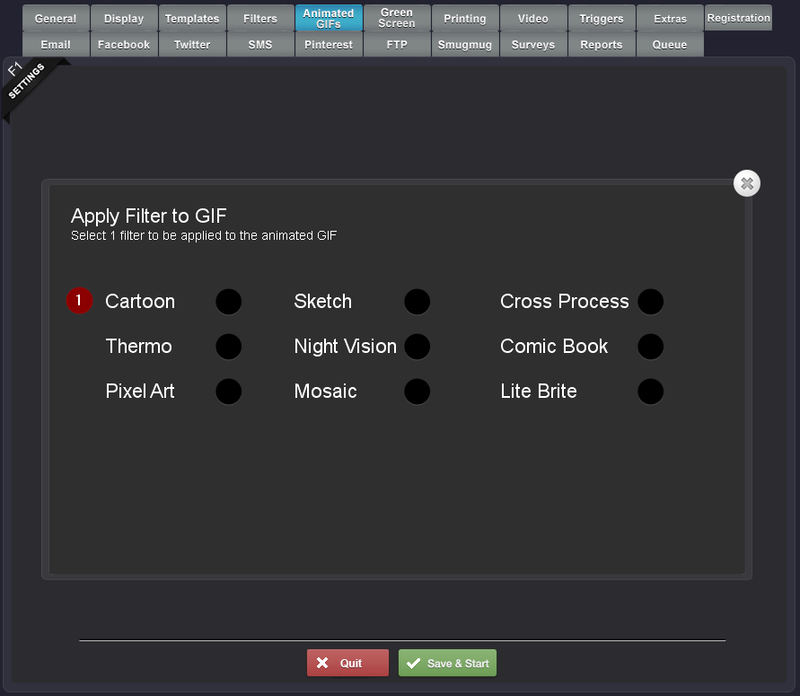 Check to apply an advanced filter to the animated GIF. Advanced filters require additional processing time.